That’s how one Utahn described her contributions to her grandchildren’s Utah Educational Savings Plan (UESP) accounts. “For a child, knowing that there’s a savings account waiting for them, it sends a special message to that child that they’re able to continue their education,” said Kim Hood of Salt Lake City. 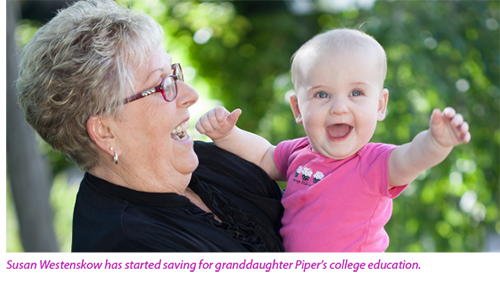 Grandparents with UESP accounts say they value the benefits their accounts offer and want to make the most of their savings. “As a grandparent, giving our grandchildren a toy or other small gift does not have the lasting effect that giving them an education or participating in their education does. It is the gift that helps create their future,” Hood said. When her grandchildren were younger, Magdalene Foster of State College, Pennsylvania, saw a financial magazine article comparing different 529 plans. “Utah rated at the top,” she said. And the savings have paid off for her two grandchildren, one of whom is about to graduate from Penn State University, and another who is in high school and considering college options. “The fact that the money can accumulate tax-free is a help, so you have more saved up for college,” Foster said. Those advantages of 529 plans are well-known, but it’s also helpful to be informed of federal regulations regarding grandparent accounts. Currently, when students submit the Free Application for Federal Student Aid (FAFSA), they must report total taxable and untaxed income from the previous year for themselves and their parents. The totals factor into the Expected Family Contribution (EFC), which determines the amount of aid for which the student is eligible. Parent-owned accounts—and most student-owned accounts—are treated as parental assets that are included at a maximum of 5.64 percent when calculating the EFC for the year. However, withdrawals from a grandparent-owned account are classified as student income on the FAFSA for the following year and can be included up to 50 percent for purposes of calculating that year’s EFC, thereby reducing a student’s financial aid package more significantly than a parental asset, such as a parent-owned account. Based on the above calculations, grandparents have the option to transfer 529 account ownership to the parent for a more effective use of college savings relative to financial aid. Another solution is to withdraw the funds for use during the grandchild’s last two semesters of college, by which time no further FAFSA applications will be filed. One popular practice recommended to grandparents in the past, however, warrants some caution. In September 2015, President Barack Obama announced changes impacting FAFSA. 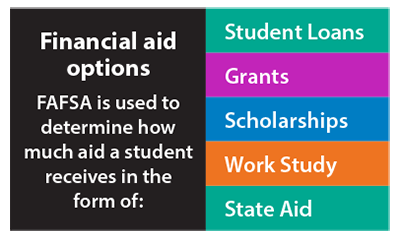 FAFSA will now go back two years for the base year for income information when calculating aid requests. Before this change, FAFSA used the previous year’s income numbers. Some college savings experts say the changes to the FAFSA rules create a wider window for grandparents to contribute to their grandchildren’s education without negatively impacting financial aid. In the past, contributions made during a grandchild’s junior year wouldn’t be included in financial aid calculations because students would already have filled out their final FAFSA. Now that FAFSA calculations use income from two years previous, experts say that grandparents could contribute to their grandchildren’s college education as early as the spring of their sophomore year—as income information from that year and subsequent years would not be used for FAFSA purposes. But such contributions won’t exactly fly under the radar. Grandparents and students should know that as applications are filed, the applicant will have to provide information on any new funds received after the year for the tax information in the FAFSA.